In 2002, IUPAC organized a workshop and later prepared and published a technical report on the Impact of Scientific Developments on the Chemical Weapons Convention. The timing of that project was planned to ultimately coincide with the first quinquennial review of the 1997 Chemical Weapons Convention. IUPAC Secretary General E. D. Becker and Vice President L. Sydnes represented the Union, which had an observer status at the Review Conference held in late April–early May 2003. Edwin D. Becker <tbecker@nih.gov> has been IUPAC secretary general since 1996 and has been a member a various IUPAC bodies for 30 years. He is presently a scientist emeritus at the National Institutes of Health, Bethesda, MD, USA. Delegates from the 151 States Parties to the Chemical Weapons Convention (CWC) assembled in The Hague, Netherlands, for two weeks (April 28 to May 9) to review the first six years of this treaty that is "determined for the sake of all mankind, to exclude completely the possibility of the use of chemical weapons." Also present were observers from about 20 non-government organizations, including IUPAC. The Review Conference addressed questions regarding the timely destruction of all declared chemical weapons, implementation by States Parties of legislation to make any breach of the Convention a crime, more resource-efficient means to stem the proliferation of chemical weapons, and ways to enhance the peaceful uses of chemicals among States Parties. The conference provided a strong reaffirmation of the importance of the treaty. Ambassador Rogelio Pfirter, director general of the Organization for the Prohibition of Chemical Weapons (OPCW) stated, "Let us convey the message loud and clear that in the fight against weapons of mass destruction the overwhelming majority of the international community stands firmly united behind the Chemical Weapons Convention." Underlying the discussions was the recognition that advances in science and technology will materially affect future implementation of the treaty—a point that IUPAC has emphasized in its report to OPCW and the States Parties (see article on page 10). In opening addresses at plenary sessions, several delegates referred to scientific and technological issues. Ambassador Priscilla Jana (South Africa) said, "We are satisfied with the report of IUPAC on the impact of scientific developments on the Chemical Weapons Convention. Among its conclusions, this report states that although newer technologies, such as the advances in biomolecular science and in chemical synthesis, must be under regular review, they do not materially change the situation regarding the risks to the Convention by toxic chemicals that are not listed in the Schedules." Other delegates pointed out informally that the report by IUPAC was the first by an international scientific organization to address such issues for any of the several international arms control treaties. The CWC entered into force in 1997 and mandated the OPCW to eliminate chemical weapons forever. OPCW inspectors monitor and verify the destruction of all declared chemical weapons and the destruction or conversion of all declared chemical weapons production facilities. The OPCW monitors global chemical industry to ensure that no new chemical weapons are produced, and it promotes the peaceful uses of chemistry. Each Member State has the right to receive assistance and protection from OPCW if threatened by or attacked with chemical weapons. The CWC now serves over 90% of the global population, and over 98% of global chemical industry is subject to its verification regime. Five States Parties have declared—and are obligated to destroy—over 70 000 metric tons of chemical warfare agent filled into 8.6 million munitions and containers. These chemical weapons have been entirely inventoried and are re-inspected systematically to provide confidence that there has been no loss or diversion of these weapons awaiting destruction. Over 10% of chemical warfare agents and over 25% of the munitions containing these agents have already been destroyed under continuous verification by OPCW. Progress in the destruction of global chemical weapons production capacity has also been significant. All declared chemical weapons production facilities have been deactivated. Over two-thirds of the declared chemical weapons production plants have either been destroyed or converted to peaceful purposes. In the past six years, over 880 inspections have been undertaken at more than 160 chemical weapons related sites around the world. In addition, since 1997, the OPCW has conducted a total of over 550 inspections at over 445 industrial facilities on the territory of 52 States Parties. Further information on the CWC is available at <www.opcw.org>. 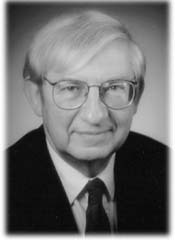 Edwin D. Becker <tbecker@nih.gov> has been secretary general since 1996 and has been a member of various IUPAC bodies for 30 years. He is presently a scientist emeritus at the National Institutes of Health, Bethesda, Maryland, USA.